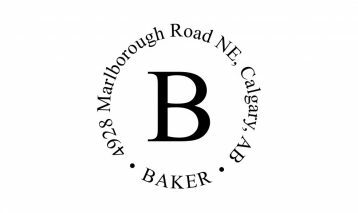 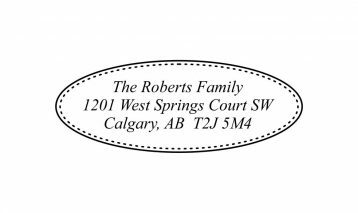 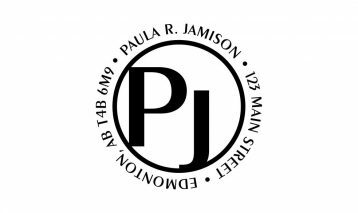 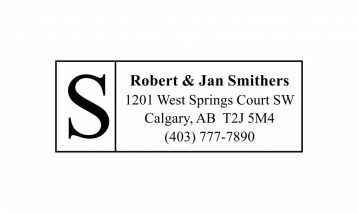 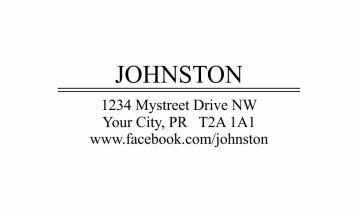 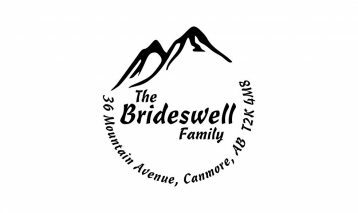 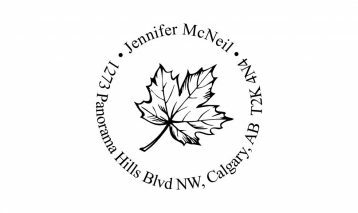 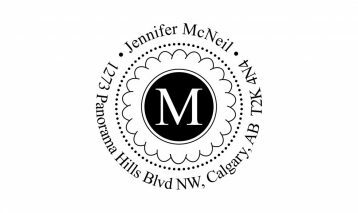 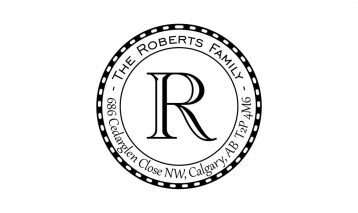 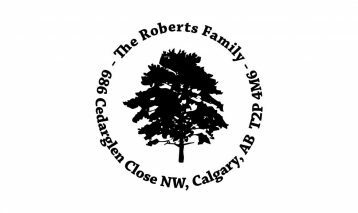 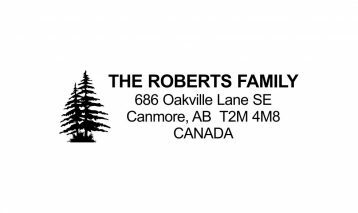 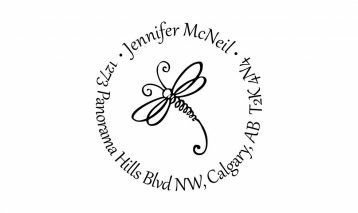 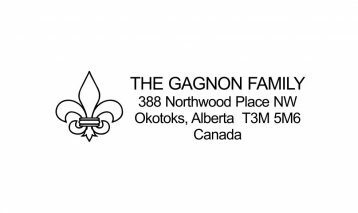 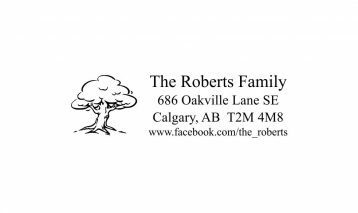 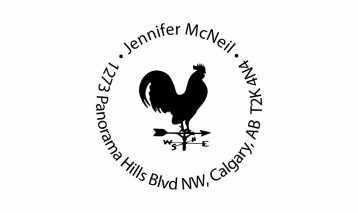 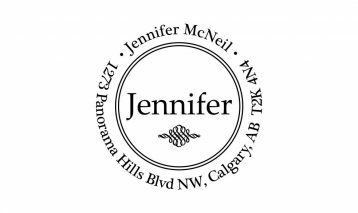 Our return address rubber stamps are available in a variety of design styles including rectangles, circles and ovals and with logos, artwork and monograms. 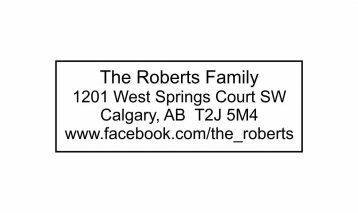 These sample templates can be customized with your information. 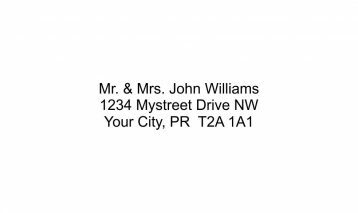 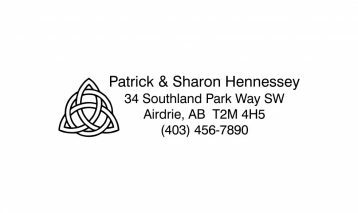 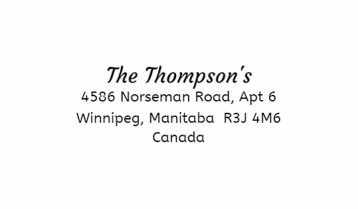 Return address stamps can be used in a variety of applications such as on envelopes, on wedding invitations, create personalized stationary or to stamp personal papers. 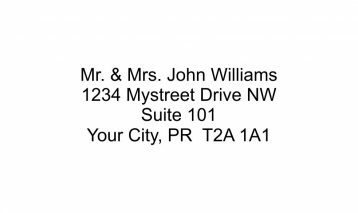 Return address stamps can be ordered as either a self-inking stamp, as a pre-inked flash stamp; with your choice of ink colors, or as a traditional rubber hand stamp. 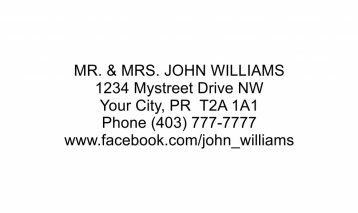 We provide a variety of return address stamp templates for you to choose from but if you don’t see the template you are looking for, need something different, or would like the stamp to be smaller or larger, request a proof / quote for your custom stamp.